The use of concrete in art and design is increasingly attracting attention and corresponds to contemporary furnishing trends. The severity of concrete combined with its cool aura opens up new design possibilities. It takes a high level of craftsmanship to fully master the handling of concrete as a design material. The company “Korn Produkte” from Kassel in Germany has been producing high-quality design objects made of concrete since 2005, whose design and shaping are almost unlimited. Jochen Korn and his team use different formulations to create high-quality surface structures and different colours. Objects made of lightweight concrete also surprise with their significantly lower weight. Korn's product design has received the reddot design award 2010, Early Bird Design Award and a nomination for the German Design Award 2012. Many products have been presented at exhibitions in Germany and abroad, for example in Tokyo, New York and Milan. In addition to its own stylish design objects, the company also offers contract work according to individual wishes and specifications. In cooperation with customers, creative products are created. 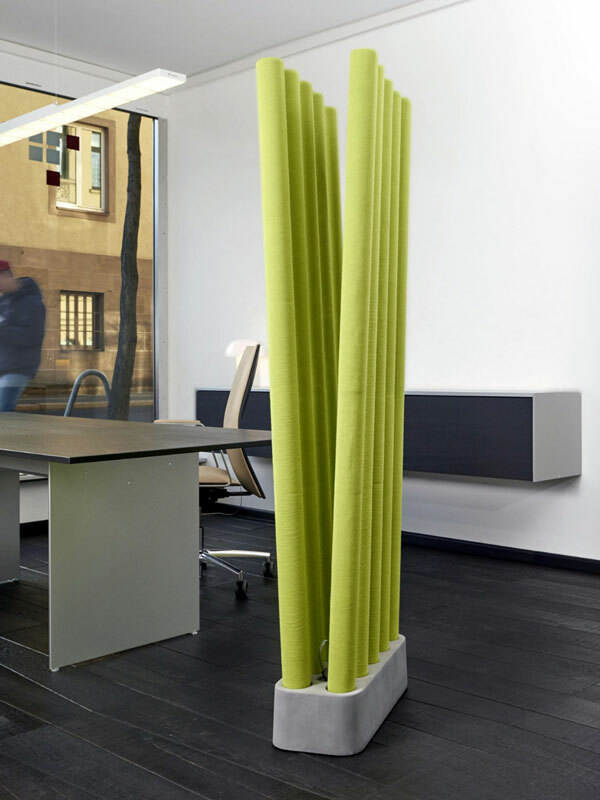 An example of this is the "AcousticMikado" from Silentrooms GmbH & Co. KG from Frankfurt am Main. The company Silentrooms realizes innovative solutions for the improvement of acoustic characteristics within buildings. The "AcousticMikado" room dividing elements are particularly eye-catching. The dividers are positioned as free-standing elements in the room and create quiet zones in the midst of large rooms. A base made of special lightweight concrete with Poraver® is used to securely hold the coloured sticks. 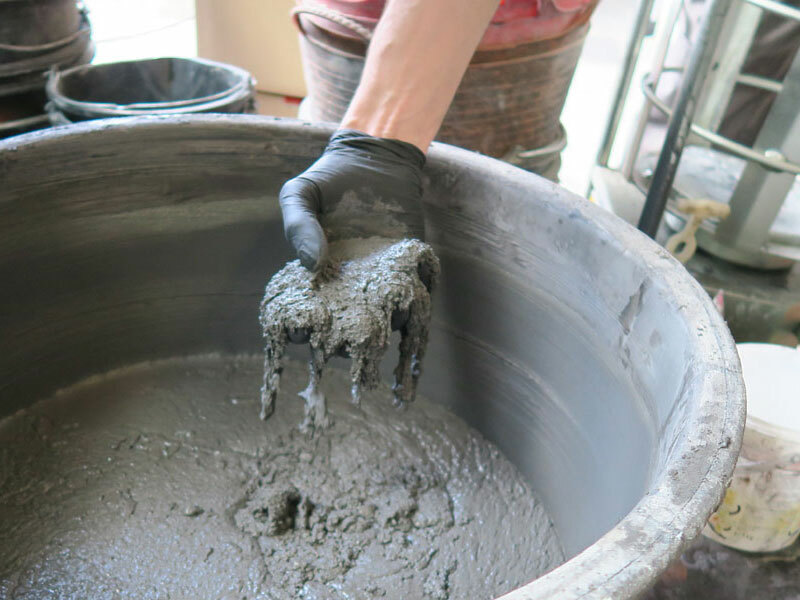 The formulation for this lightweight concrete was developed by the company Korn. They used Poraver expanded glass with a size of 0.5 - 1 mm as lightweight aggregate. This grain size fraction is ideal for giving the object an even structure and a high-quality surface finish in addition to its reduced weight. In order to produce this special concrete lightweight aggregates are added to the classic concrete formulation. The company Korn has relied on pure mineral Poraver® expanded glass made from recycled glass for many years. 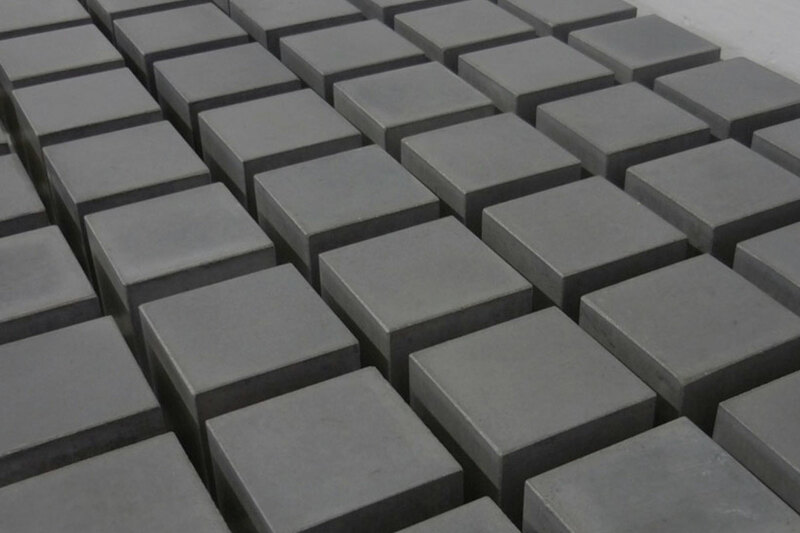 Due to its low density, Poraver® leads to significant weight savings without negatively affecting the material properties. Find here more information about design concrete from Korn Produkte. 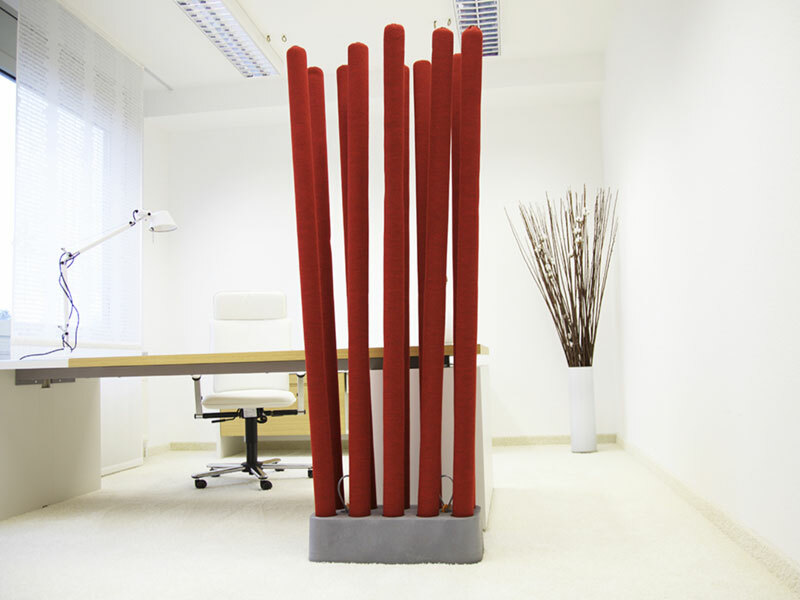 Find here the „AcousticMikado“ created by Silentrooms GmbH & Co. KG .